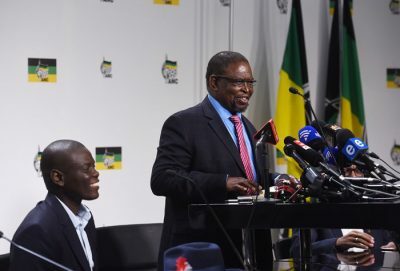 A recently-held African National Congress (ANC) Land Summit (May 19-20) convened in the Republic of South Africa just several months after the passage of a parliamentary resolution which would theoretically redistribute white-owned farms to the African majority. Land transferal has been the key element in the historic National Democratic Revolution in South Africa and throughout the continent. Yet with the coming to power of the ruling ANC in 1994, a comprehensive land reform program has remained elusive. Africans are still disproportionately impoverished and landless while the economic prospects for redressing the inherited settler-colonial construct is largely dependent upon the role of South Africa within the broader world capitalist system. The lack of a sweeping land redistribution program results from the trepidation surrounding the economic and political impact of such revolutionary policies. Agricultural production for export and internal consumption is clearly one aspect of the problem. Moreover, the ownership and relations of production within the mining and manufacturing industries are also important in understanding the reluctance of the ruling ANC and even its allies within the Congress of South African Trade Unions (COSATU) and the South African Communist Party (SACP), both of which were involved in the Land Summit, to embark upon bold and innovative transformation. Even after twenty four years of governance resulting in many advances for the South African people, there is much more to be done to re-correct the mass poverty, dispossession and exploitation which were the foundation of the racist apartheid state. Of course if a radical land redistribution program was enacted the ANC government would face the wrath of international finance capital. As was done in the Republic of Zimbabwe where under the leadership of former President Robert Mugabe and the Zimbabwe African National Union Patriotic Front (ZANU-PF), a concerted campaign to sanction, blockade, destabilize and overthrow the government went on for nearly two decades. During the post-Mugabe era since November 2017, the imperialist states such as the United States and Britain are continuing to set the terms for any semblance of a normalization of diplomatic, trade and investment relations. The ZANU-PF leadership under President Emmerson Mnangagwa has announced that western observers of the upcoming July elections will be invited into the country so that they can be satisfied that bourgeois democracy is operating in Zimbabwe. “The recommendations identify the need for a South African agrarian revolution as a key component of land redistribution, promoting small holder farmers, and working together with emerging and existing farmers. However, these concerns cannot be addressed absent of a full-scale assault on the national and class character of the society. The capitalist mode of production does not provide for such a policy of redistribution without the capacity of the revolutionary party and its allies to withstand the inevitable pressure from the imperialist states. Nevertheless, South Africa, despite it being the most industrialized state on the continent, would require other regional nations to adopt similar policies in order to establish a bloc of resistance forces to stave off the efforts by the West to remove the ANC from power. The land question cannot be answered in its ultimate revelation apart from the broader revolutionary process to liberate and unite Africa as a whole. 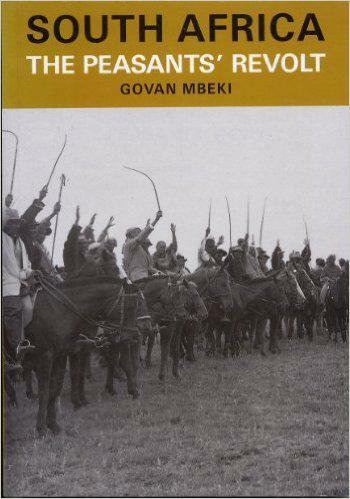 One of the groundbreaking theoretical contributions to the ideological development of the ANC and the SACP was the work of Govan Mbeki in his book entitled “The Peasant’s Revolt” (image on the right) published in 1964 while he was in detention as a political prisoner stemming from the Rivonia Trial. Mbeki chronicles some of the largest outbreaks of unrest among people in the rural areas in the years following the conclusion of World War II marked by the institutionalization of apartheid under National Party regime. Although the political conditions are different in 2018, the imperialists are still committed to crushing any genuine land redistribution project in South Africa with economic measures and even military intervention if it is deemed necessary. The ANC and allied revolutionary forces in the labor and left organizations have no alternative than to take this history into account when they deliberate on a way forward. Programmatically the Congress of the People held on June 25- 26, 1955 in Kliptown adopted the Freedom Charter which guided the dominate tendency within the national liberation movement for the following four decades. After May 1994 when President Nelson Mandela was inaugurated as head-of-state, many aspects of the Freedom Charter could not be implemented particularly clauses calling for the nationalization of industry, land and banking. 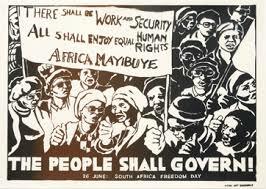 The global political and economic situation in 1994 required compromises from within the ANC and its allies. These tactical maneuvers were designed not to last for as long as they have. A set of social dynamics involving the factional disputes within the ruling party, the ongoing dominance of western imperialism based upon the dependency on the former colonial powers for trade, credit and material inputs for agriculture, mining and manufacturing, has effectively hampered genuine and sustainable development leading towards a socialist society. A pattern of disinvestment by capital along with its resultant downsizing and outsourcing of jobs guaranteed the perpetual decline in living standards for the urban working class, farmers and the rural proletariat. Obviously these demands of the National Democratic Revolution cannot be fully achieved without a socialist orientation for government related to the economic restructuring of class society deriving from colonialism and settler colonialism. Socialism in one country, a philosophical misnomer within orthodox Marxist theory, can be realized as in Cuba, the People’s Republic of China, the former Soviet Union as well as the non-capitalist paths to development enacted by various African states in the immediate post-independence processes of the 1960s through the 1980s, although the threat of counter-revolution remains a looming threat or reality. South African President Cyril Ramaphosa of the ANC will stand for election in 2019. The economic crisis due to the declining value of the rand, the astronomically high rate of unemployment, persistent strikes and community unrest over low salaries, poor working conditions, service delivery problems and corruption will inevitably be a central feature of the consciousness of the electorate. In order to maintain its uncontested hold on state power, Ramaphosa and the ANC parliamentary candidates must convince the voters that they can effectively tackle these monumental difficulties. As Dr. Kwame Nkrumah said in his pioneering work on Neo-Colonialism in this period, until Africa is united under a Socialist Union government, imperialism will continue to stifle the forward progress of the masses of people. Consequently, the struggle for revolutionary land redistribution in South Africa and Zimbabwe is an integral part of the Pan-African movement for the reconstruction of the entire continent. The ANC and ZANU-PF are tackling one of the most profound challenges of the modern period of the 21st century. As the western industrialized states decline in their economic prowess a more equitable and inclusive system of trade and finance must be brought into being. This can be done based upon the material conditions of the African continent with its vast mineral, energy, agricultural and human resources. Therefore it is the people organized into their political parties and mass organizations that can ensure a future of stability and prosperity for the majority of the workers, farmers and youth.